By A. B Jones & Sons, manufacturer at the Grafton china works in Stoke on Trent. 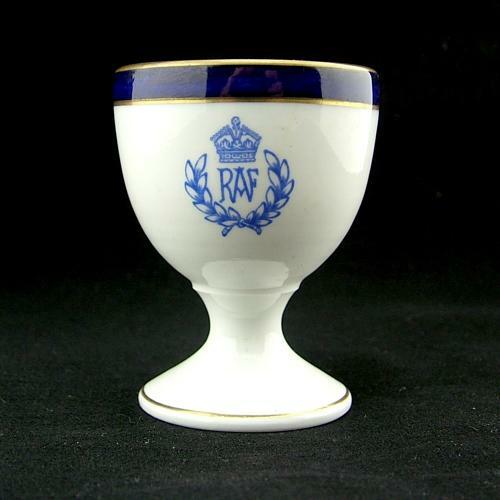 White bone china egg cup with King's crown RAF crest to one side. Decorative gilt banded deep blue rim. Approximately 6.3cm tall and 4.9cm diameter at the top. Shows light wear and use but undamaged and in excellent condition. Ideal for that special occasion breakfast! Stock code C20283.